TURF LAWNS. Suppliers of premium lawn turf. 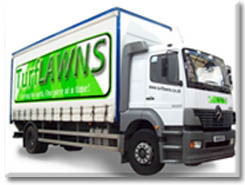 Suppliers of Fantastic Lawn Turf! Turf Lawns are growers and suppliers of premium lawn turf for gardens, landscaping and amenity use. Turf Lawns produce turf to high standards set out over our 16 years of experience in lawn turf production. 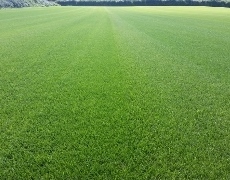 Our turf is produced using high-tech turf machinery operated by experienced staff. All of our turf is grown from seed selected from the highest rated STRI turfgrass cultivars available. 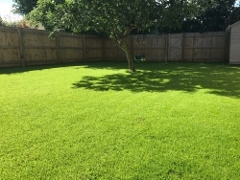 We have an excellent reputation for supplying lawn turf to homes as well as turf to landscapers and authorities including the RHS and the National Trust. The turf is maintained all year round and treated for unwanted pests weeds and disease. We also harvest the turf all year round with the exception of extreme frost. It can be a great advantage to buy your turf out of the typical season to save on watering and to make sure your lawn is ready for the spring sunshine. Our Turf is delivered by a highly organised distribution network which enables us to offer efficient next day delivery with a minimal carbon footprint. The turf is delivered on a curtain sided lorry with a tail-lift to unload. We offer the next day delivery service from Tuesday through to Friday providing you order by 12pm. When your turf arrives you should immediately unwrap it and proceed to lay it. The turf should be laid on the day of delivery in hot weather or within 24hrs in cooler conditions. Calculate a price and order online for your TurfLawns delivery. Turf Lawns turf is grown to produce a durable, child friendly lawn but we also include fine fescue to ensure a dense and high quality appearance, Once your turf is laid, it will transform your garden and in just a couple of weeks you can mow your grass and use your garden for playing, sunbathing or barbecue's. This may be a longer period in wet or cold weather. 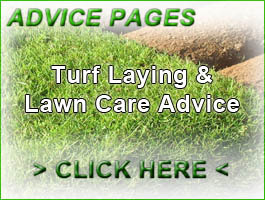 Check out our advice pages for information on laying your turf and maintaining your new lawn.